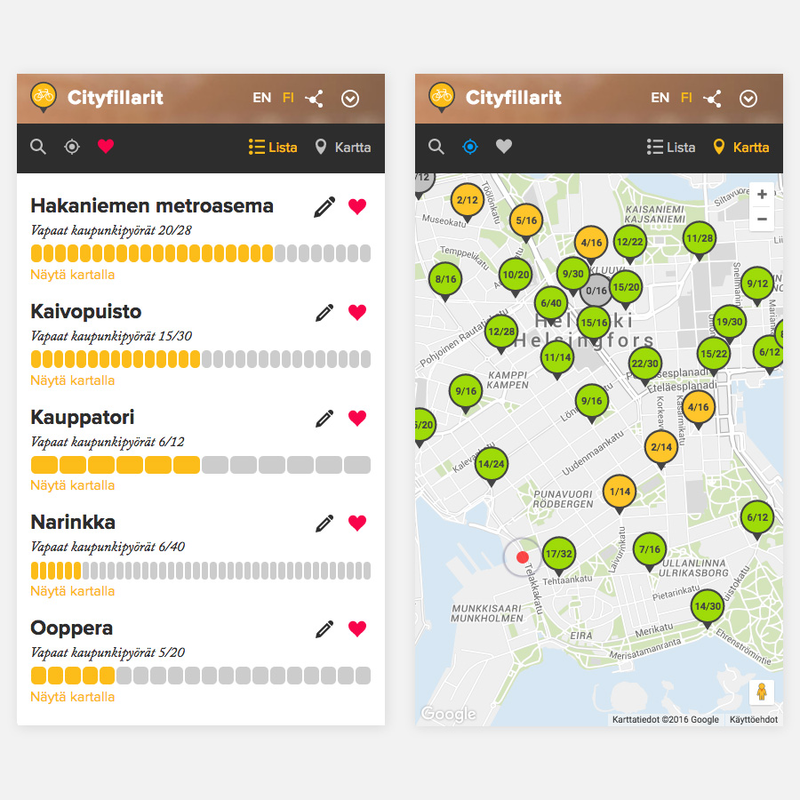 Cityfillarit.fi shows the Helsinki city bike availability status based on an open API provided by HSL. 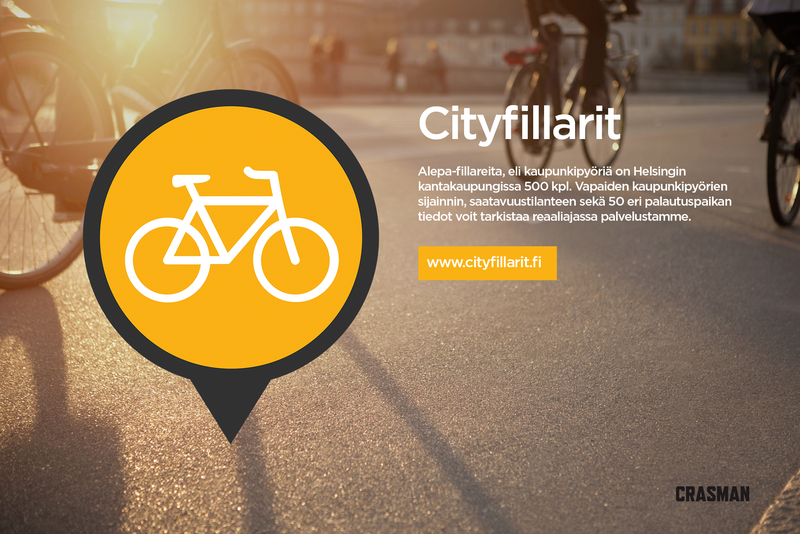 More information about city bikes on HSL City Bikes. Cityfillarit.fi service is provided by Crasman Oy.